Arahant comes from the Pali word arahati meaning ‘worthy’ or ‘noble’ and is a title given to someone who has attained awaken-ness as a result of listening to and practicing the teachings of a Buddha. Like a Buddha, an arahant has perfected wisdom and compassion and is no longer subject to rebirth. The Buddha describes the arahant as having transcended ‘the round of birth and death, they have destroyed the taints, lived the holy life, done what had to be done, laid down the burden, reached the ultimate goal, destroyed the fetters and become completely free, liberated through final knowledge’ (Majjhima Nikaya 1. 141). Theravāda Buddhism’s teachings on the pāramitās can be found in late canonical books and post-canonical commentaries. Two of the above virtues, metta and upekkha also comprise two of the four immeasurables (brahmavihāra)). Fourth Jhāna - In the fourth jhana there are - “a feeling of equanimity, neither pleasure nor pain; an unconcern due to serenity of awareness; unification of mind, contact, feeling, perception, intention, consciousness, desire, decision, persistence, mindfulness, equanimity & attention”. In the suttas, these are never referred to as jhānas. According to the early scriptures, the Buddha learned the last two formless attainments from two teachers, Alara Kalama and Uddaka Ramaputta respectively, prior to his enlightenment. It is most likely that they belonged to the Brahmanical tradition. The Buddha himself discovered an attainment beyond the dimension of neither perception nor non-perception, the “cessation of feelings and perceptions”. This is sometimes called the “ninth jhāna” in commentarial and scholarly literature. There are ten hindrances to enlightenment (shown below) and four stages of realization (enlightenment) based on how many hindrances have been eliminated and / or the degree to which they have been eliminated. An anagami (non-returner) has completely eradicated the first five hindrances and never returns to earth or any other world system (planet, solar system). Such a person is re-born to a heavenly realm and attains enlightenment from there. A sakadagami (once-returner) has eradicated the first three hindrances and greatly weakened the fourth and fifth; attachment to sense desires and ill-will. Such a person will be re-born to either the human or heavenly realm and will attain enlightenment there. Buddhism is unique among the major world religions in that followers can attain to the same level as the founder. For example, in Judaism, Abraham and Moses are considered the founders who made the covenant with God and provided the Law (Torah) and there cannot be another one to do so. In Christianity, there can only be one Christ. In Islam, Muhammad is considered the seal or final prophet. Whereas, in Buddhism, anyone can attain awaken-ness and reach the same wisdom and title as the Buddha, an awakened one. In the social transformation movement in our country, the great heroes of social revolution have played a particular important role. The humanitarian thoughts and deeds of those great heroes stirred and influenced the society a great deal. Our Sants, Gurus and other great men wagesd stupendous struggles and made countless sacrifices throughout their life for securing the right to vote and human right to equality that we enjoy today in the 21st century. All o0f you are aware that there is a long saga of relentless struggles and sacrifices by these great men in which names of great humanists, Tathagat Gautam Buddha, Sant Kabir, Guru Ravidas, Mahatma Jotiba Phule, Chatrapati Shahuji Maharaj,the most revered Baba Saheb Dr.Bhimrao Ambedkar and Bahujan Nayak Hon.Shri Kanshi Ram Ji in particular deserve mention. It is because of limitless love of these leading lights of India for the people , society and country that these great men are held in great esteem everywhere and all of them hold sway over hearts and minds of the people. But even 62 years after Independence of the country, the casteist mindset and the social order based on it are destroying our country like white ants. This malady has continued to be a big hurdle in the development of both the country and the state because, as everyone knows it, the renouncing of the castiest mindset alone is true patriotism and without establishing a caste-less society India cannot become a humanitarian and developed country of the world. It has always been my efforts that these high priests/great men who sacrificed their all for “Social Transformation” should get adequate honour in the society and our country, and their memories should be preserved as a valuable heritage and a source of inspiration. During my all the four tenures of power in Uttar Pradesh in the honour of these great men and in the direction of preserving their memorable heritage, efforts have been made to do the historic work of establishing new districts and building sthals, institutions, gr4and memorials, buildings, parks etc., for them. In this very process, I am happy that a guide/album, “Certainly Towards an Equalitarian Society”, based on the works that mu government has got done in the honour of Tathagat Gautam Buddha is being published by the Information and Public Relations Department of the state. I am confident that this effort will certainly play a positive role in my government’s campaign to establish an” equalitarian social order”. 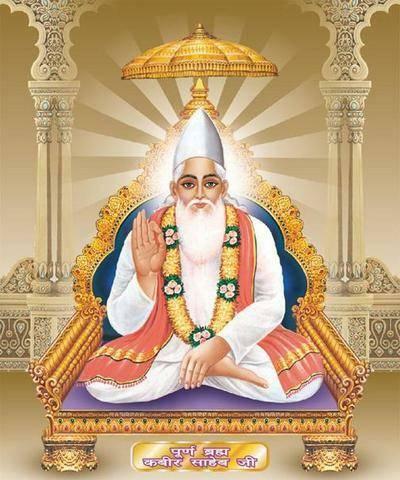 Kabir was born in 1398 AD. He was a great poet and a weaver by profession. He was born to a Hindu but grew up in a Muslim weavers family. Ramananda was his guru from whom he took initiation. Mahatma Jyotiba Phule was born on the 11th of April 1827 and died on the 28th of November 1890 at the age of 63. Punekar pays tribute to the reformer on the occasion of his 118th Death Anniversary. Jyotiba Phule was a true believer in the saying, ‘charity begins at home’. As many of us are aware (especially girls), Jyotiba and his wife, Savitribai Phule, were the pioneers in starting schools for women. But Jyotiba took the step of starting a school only after imparting the necessary education to his wife. Married at the tender age of twelve, Jyotiba and Savitribai together walked the road less travelled. They were the first Indians to promote the cause of female education and make India what it is today. As a woman, I feel immensely honoured to be able to write about the man who brought about a change because of which I am able to sit here and write about him and be independent. Jyotiba and his wife were not only responsible for starting women’s education but were also one of the few to open their hearts and doors to the ‘Harijans’ or untouchables during the fight for freedom. Jyotiba carried with him an air of liberation as is evidenced in the works of his contemporaries like Raja Ram Mohun Roy who not only supported the cause of education for women but also worked hard to abolish the inhuman laws against the practice of ‘Sati’. Jyotiba’s contribution did not end at planting the seed of women’s education. He also took efforts to go to people’s houses and convince the parents of the importance of educating the female child. He also, in many cases, took responsibility for the girls coming to his house. Savitribai Phule acted like a teacher and a mother to the girls who were allowed to attend school. Jyotiba and Savitribai did not discriminate on the grounds of caste or religion; they strived towards the selfless goal of imparting education to as many girls as possible. 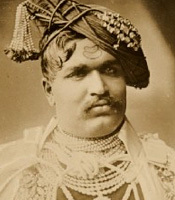 Jyotiba was also amongst the founder members of the ‘Satyashodhak Samaj’. The aim of this society was to help eradicate the stigma attached with the ‘shudras’ and ‘ati-shudras’ and also to liberate them from the constant exploitation by the ‘Brahmin’ class. The Satyashodhak Samaj propounded rational thinking and rejected the need for a hierarchy in the society in the form of a caste system. His is the first name that comes to mind when mentioning The Social Reform Movement in Maharashtra. There was more to the man just fighting for the cause of women’s education and eradicating the caste system. As well as being a reformer, he was an educated one. He not only put forth ideas but also explained them in the light of the good they would do to the society. He strongly believed that the ignorance in society cannot be fought without good education being provided to all classes and genders alike. He also holds the credit for starting a house for widows to save them from the practice of ‘Sati’ and also an orphanage for girls to save them from female infanticide. Jyotiba Phule has truly contributed towards a better future for women and that too with the support of a strong woman, Savitribai. She pointed out that once the main Rs. 17 cr. Taj corridor case had come to an end and it was conclusively proved that she had no role to play in the case, the CBI should have dropped the case immediately. The Supreme Court has asked the Union government to clearly spell out its stand whether it wanted to proceed against Uttar Pradesh Chief Minister Mayawati in the disproportionate assets case or not. A Bench, comprising Justices B. Sudershan Reddy and S.S. Nijjar, gave six weeks to the Centre and the CBI to file their response to Ms. Mayawati’s petition that sought quashing of the proceedings. In her petition, Ms. Mayawati accused the CBI of harassing her by filing the disproportionate assets cases. She said while the former Railway Minister, Lalu Prasad, was let off by the CBI without filing any appeal in the income-tax case, she was being targeted for political reasons. She contended that the CBI had neither the authority nor the jurisdiction to initiate any proceedings, including filing of First Information Report, against her in the DA case. She pointed out that once the main Rs. 17 cr. Taj corridor case had come to an end and it was conclusively proved that she had no role to play in the case, the CBI should have dropped the case immediately. However, in a most illegal and arbitrary manner, simply to harass and defame her, the CBI had illegally and under political pressure been continuing the DA case till date. Ms. Mayawati said the CBI and income-tax authorities not only went ahead to investigate the income during 2002-2003 to which the Taj case related but even went back from the assessment years 1998-99 onwards for re-opening the assessment proceedings.